'Love isn't something you find. Love is something that finds you,' Karsang thought, assuming to be as philosophical as Loretta Youn, when he saw a breathtakingly beautiful girl in his class for the first time. It was after lengthy time of chill-chilly winter vacation that as usual the schools in Bhutan reopen where numbers of students get to be transferred from one to another school due to their respective grounds. Karsang's girl was one of them. Karsang was a 18-year-old full-blooded, clear-sighted, intelligent boy, henceforth going to study in class 10 from humble background. Being from hand-to-mouth blood, he had always been studying sincerely and working hard for his ballsy dreams and gusty passions. His lovable teachers appreciated him for his consistent hard work and persistent courage. "Love at first sight is inevitable." He breathed to himself, with his staring vivid eyes at his girl who was three rows of benches forward him. Everybody was gazing and glancing at her for obviously everyone of us would do, when someone, especially beautiful stranger comes and joins our class for the first time. Evidently, she felt aflutter and edgy. "What did you say? Speak tumultuously? You are a man! I always find you mumbling. That's unfair." One of his close jolly, shiftless friends beside him who was busy copying, scrawling homework, hectored at him. "Okay, I got, then there is something wrong with my ears," Rigyel joshed as he scribbled determinedly. Then the bell burbled for the morning assembly which antagonized Rigyel, blaming an empty space for his incomplete homework. During morning assembly, Karsang averted his eyes towards his girl who was luckily just beside him, praying devoutly. 'What on the earth can frustrate me from thinking about that girl who is just a knee-length away from me,' he thought smilingly. Now, he was all clothed in her. Usually, he didn't like to attain the morning assembly cause, standing in the scorching sun and blustery weather, always bedeviled him, but now, he neither felt the sun nor weather apart from feelings of being bathed in her thoughts. That much power the love has! The morning assembly elapsed ordinarily and Karsang's time, extraordinarily. This time had been once in a blue moon, once-in-a-lifetime experience for him. This was his seventh time. Unlike others, Karsang was different and atypical. Before this eye-catching girl, he loved neighborly six, indeed so many mesmerizing girls as same as he did what he was doing with this present girl. The fact is, he never divulged nor tried to manifest his infatuated secrets. He knew his love at first sight was just making him go gaga and nothing more than that or less than that. He would just cherish his feelings of love timely and would let them perish timely, only within the four walls of his dogged heart. His golden rule; "Cherish to Perish,"(in teenager's love) has always guided his life though short-lived love since he fell in love with his crushes. It had been his workable and well oiled technique to avoid himself from the future albatrosses for his optimistic posterity. Now the mesmerizing girls he used to love before had croaked as it was as frog's croak when the time came. Now, he loved them hardly, no, not any more. The flowers those used to captivate his life once upon a time, now seemed to be crazy and unreasonable. Our mind changes, so is its insatiable desires. That's why break-up and divorce have been befalling to the victims. And this, Karsang already knew. None of the girls he loved knew that, many moons ago, they were being locked in Karsang's heavenly heart, but only he knew who was the master of his own secrets. 'Cherish and Perish,' Karsang mumbled at himself, in the first class. This time Rigyel was no where to be seen to reflect his murmur. No sooner did the class teacher entered the class than the students stood up in unison with a singsong greeting, "Gooooood mor....rrrr...ning sirrrrrrr." The teacher nodded with a toothy grin and again followed the por forma gratitude, "Tha-nnk....yo-ou...sirrrrrrrr." Karsang was saturated with curiosity to know her name and the bare bones, eagerly waiting for his teacher to introduce her. Maybe the teacher heard his heart, sheering at the girl, the teacher let her introduce as usual as it happens in all the schools, "Hey! Girl." Pointing at the girl, "Can you introduce yourself to our friends." The teacher requested. His girl stood up, strode forward, swerved towards the class shyly with her flyaway hair, her hands one over another, her fingers criss-crossed. Karsang's heart beat faster. For the first time, he saw her catch-all angelic face. The girl stuttered with a blush, "I am Choyning, last year I studied at That (school name) School, since my father was transferred here I am glad to have met you all. We shall have fruitful togetherness for all the times to come. We shall know slowly as time suits us. Thank you." Hurriedly, she returned to her seat, fitting her bunch of flyaway hair right behind her ear. Karsang wasn't satisfied with her moment introduction. Who will be okay with such a short introduction, when someone, especially your beloved lover, wishes to spend whole life listening to you? Now, the fortnight had passed and Karsang did as best as he used to do in studies as well as growing flowers of Choyning in his heart keeping it dark and hidden. 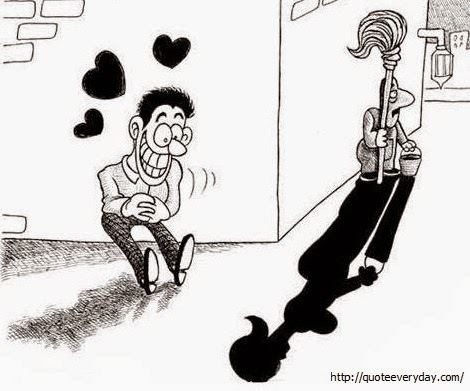 Though he was head over heels in love with her, he never revealed to her nor displayed to his bosom pals, cause he knew the fact of teenager's love, because he respected his scruple; Cherish and Perish. He didn't want to spoil himself as well as the girl's life in vain, so he kept it as secret, that never failed to work. At one happenstance, Choyning came to ask maths doubt, "Karsang, could you please help me with yesterday's homework." For obviously, Karsang was a brilliant cookie. Excitement and commotion held him. 'I am always there for you my dear sweet heart,' absent-minded Karsang thought in his dreamy world. She brandished her hand at him that backtracked his attention. With love-shy and heavenly moment, he solved her doubts. After she went with her words of thankfulness, Karsang wished, it would have been much better, if he had done gradually like slowcoach for he would love to taste the gist of his love towards her but on the other hand, his love-shy was fretting him making him uneasy and uncomfortable. The time slid temptingly and Karsang, zealously. His ephemeral love for Choyning never converted him into madness like many of the stories. He was a cool cove in which teenager's love would never fool him. Despite, he loved her to bits, he just treated her as a vernal flower that would last only for an hour, so is his love for that changing flower. When the spring season metamorphosed into autumnal season, the flowers withered on the vine and its beauty all gone. Simultaneously, he sensed diminishing of his feelings towards Choyning and now it had become bananas for him. With the doting beauty she had brought in him that he did cherish, he waved a thankful goodbye to her, with a thought ' If faith can restore us...' Then, his exams was back-to-back which would turn face-to-face within no time, he studied with zealousness and continued his usual journey of life, with his fuzzy and iffy thought of another spring season that would surely update his well oiled style, Cherish and Perish. Karsang didn't win her heart but his own heart.